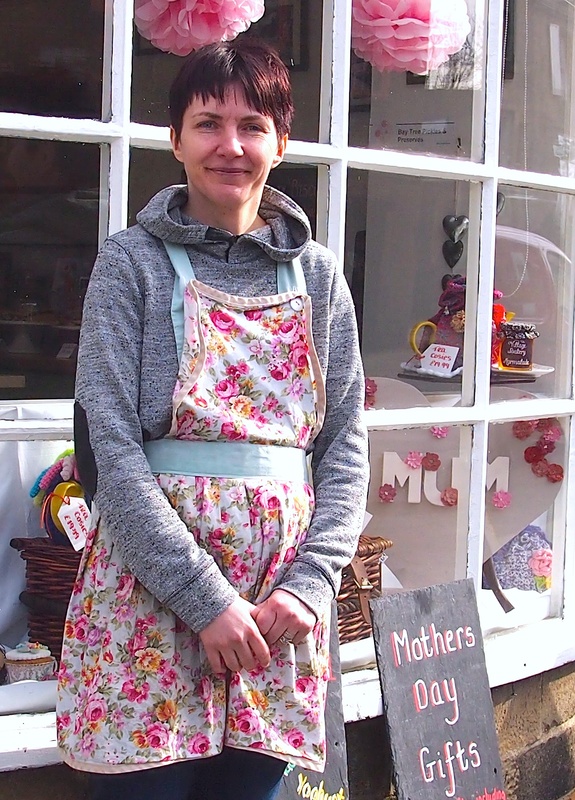 It’s Mother’s Day on Sunday (15th) so if you have not yet experienced the smiling welcome from new proprietor Patricia (Trish), and her delicious cakes, at the Village Bakery in the village centre, now’s your chance. Trish has made an enticing shop window display and has various gifts including a ‘Make your own – cookies in a jar’ kit, or there’s a ‘Cupcake in a cup and saucer’. Or just pick up a selection of cakes from those on display, or a pot of special jam. If you want to order (drop in or phone 01943 874963) a special cake you can pick it up on the Sunday morning, up to 12.30 (or before Sunday of course), or maybe you’d like to take Mum for a sandwich, cake and a coffee. You can even drop in and Trish will decorate a cake for you while you wait, though clearly it’s better to order in advance. This entrepreneural mother (she’s recently added this, her first business, to caring for the family) was mentioned in yesterday’s post. As this was marking International Women’s Day, the bulk of that post is being reproduced below. Another reminder, the deadline for getting events in the listing in the April edition of the new community magazine covering Menston is this coming Thursday – 12 March. Send details of events in April/May, and even further ahead, to roger.at.itb@gmail.com. The magazine was launched by two female entrepreneurs with two other women, all mothers and all from Haworth, so as last Sunday was International Women’s Day it’s a good reason to post a little more about the venture but also make some attempt in this post to acknowledge some of the remarkable women of Menston – volunteers and entrepreneurs. Let down by Royal Mail at the last minute, the March magazine was not distributed as widely in Menston as intended but the next edition should be delivered to every house in early April. For more about the Haworth team pictured below go to http://grumpytyke.com. 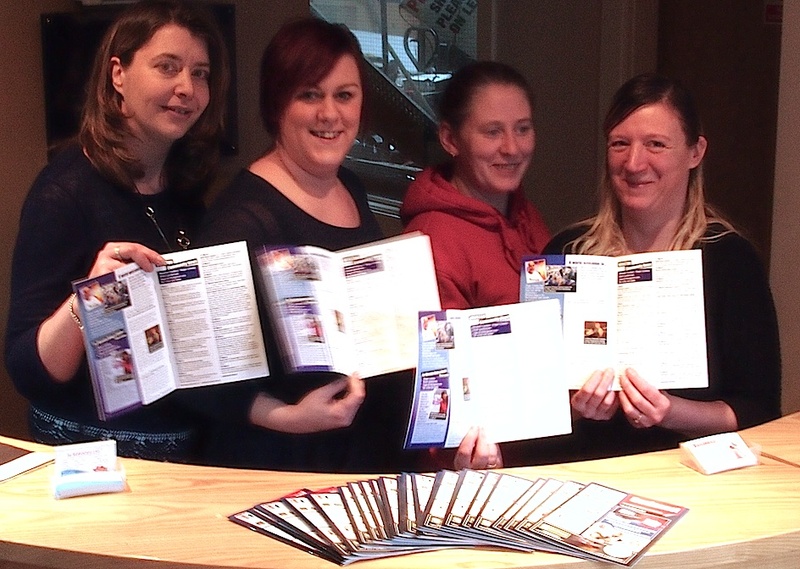 The all-female team which has brought a new community magazine to Menston. Left to Right: Louise Atkinson, partner and graphic designer, Cathy Frobisher , Office Manager, Janet-Alison Arkwright , Partner and ‘Sales Contributor’; Andrea Kerman, Sales Person. In their office in Haworth. The Menston community is nourished by a wide range of women residents, both volunteers and entrepreneureal business women. They are not all known to the webmaster of this site but if you know of any who have been overlooked in the list below (which is in no particular order) feel free to add them using the ‘Comment’ box at the bottom of this post. Christine North, founder and Chairperson of the Menston Business Association, runs The Studio, Pilates and Fitness. Charlotte Leeming, Menston’s own TV ‘celebrity’ and, in the opinion of many, one of the two best presenters on BBC Look North. Charlotte Montague, Solicitor specialising in services to Menston’s elderly population who, with Jalna Jenkins, also helps to stage the occasional film shows at the Methodist church. Jalna is also involved in other church activities, including those for young people. Patricia (Trish) Heeney, new proprietor of the Village Bakery, added to her other job of caring for family, including two children. Menston Cares female volunteers, too many to mention individually but ensuring Menston’s elderly are supported in many different ways. Jenna Wood, who runs Sunday teas for the elderly as Menston Coordinator for Contact the Elderly. Rachel Holder, runs her own Human Resources business in Menston, Purple Frog, and is Co-Chair of the Friends of Menston Primary School. Zandra Monroe-Cochrane, Secretary of the Menston Business Association who runs the new Railway Children children’s centre at Menston railway station; formerly ran Cleasby Kindercare. Kalyani Dakini, who runs the Meditation Centre in Cleasby Road. Beth Street, involved in several youth activities but very active raising money to rebuild a school destroyed by typhoon Haiyan in the Philippines. The latest is the Soul Night at the Kirklands Community Centre on 21 March. A repeat of the very popular similar event last year. There are many more remarkable women living in or contributing to community life in Menston. Please add any more you know of using the comment box below (or click ‘Leave a comment’ if you’re on the home page).